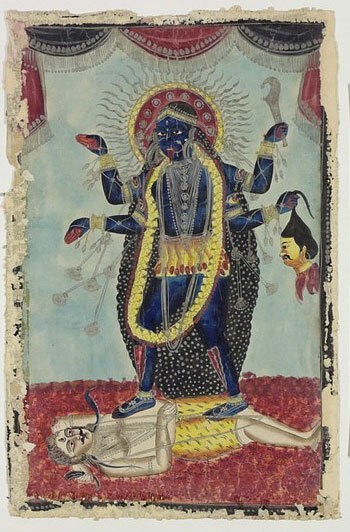 Image of the goddess Kali, dancing on her male consort Shiva. She is shown four armed, black skinned, dripping with blood and her tongue sticking out. In her lower left hand she holds a severed head.